The phosphate fertilizer industry is defined as eight separate processes: phosphate rock grinding, wet process phosphoric acid, phosphoric acid concentration, phosphoric acid clarification, normal superphosphate, triple superphosphate, ammonium phosphate, and sulfuric acid. Practically all phosphate manufacturers combine the various effluents into a large recycle water system. It is only when the quantity of recycle water increases beyond the capacity to contain it that effluent treatment is necessary. 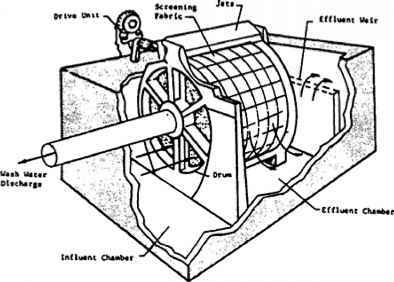 Phosphate Rock Grinding. Phosphate rock is mined and mechanically ground to provide the optimum particle size required for phosphoric acid production. There are no liquid waste effluents. Wet Process Phosphoric Acid. A production process flow diagram is shown in Figure 8. Insoluble phosphate rock is changed to water-soluble phosphoric acid by solubilizing the phosphate rock with an acid, generally sulfuric or nitric. The phosphoric acid produced from the nitric acid process is blended with other ingredients to produce a fertilizer, whereas the phosphoric acid produced from the sulfuric acid process must be concentrated before further use. Minor quantities of fluorine, iron, aluminum, silica, and uranium are usually the most serious waste effluent problems. Figure 6 Sodium phosphate process from wet process (from Ref. 8). Figure 7 Flow diagram of fertilizer products manufacturing (from Ref. 8). Figure 8 Wet process phosphoric acid (H2SO4) acidulation (from Ref. 8). Phosphoric Acid Concentration. Phosphoric acid produced with sulfuric acid cannot be used for processing due to its very low concentration. It is therefore concentrated to 50-54% by evaporation. 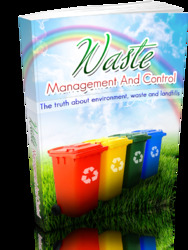 Waste streams contain fluorine and phosphoric acid. Phosphoric Acid Clarification. When the phosphoric acid has been concentrated, iron and aluminum phosphates, gypsum and fluorosilicates become insoluble and can pose problems during acid storage. They are therefore removed by clarification and/or centrifugation. Normal Superphosphate. Normal superphosphate is produced by the reaction between ground phosphate rock and sulfuric acid, followed by three to eight weeks of curing time. Obnoxious gases are generated by this process. Triple Superphosphate (TSP). Triple superphosphate is produced by the reaction between ground phosphate rock and phosphoric acid by one of two processes. One utilizes concentrated phosphoric acid and generates obnoxious gases. The dilute phosphoric acid process permits the ready collection of dusts and obnoxious gases generated. Ammonium Phosphate. Ammonium phosphate, a concentrated water-soluble plant food, is produced by reacting ammonia and phosphoric acid. The resultant slurry is dried, stored, and shipped to marketing. Sulfuric Acid. Essentially all sulfuric acid manufactured in this industry is produced by the "contact" process, in which SO2 and oxygen contact each other on the surface of a catalyst (vanadium pentaoxide) to form SO3 gas. 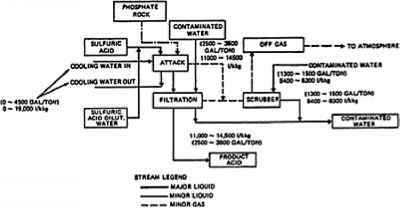 Sulfur trioxide gas is added to water to form sulfuric acid. The sulfur dioxide used in the process is produced by burning elemental sulfur in a furnace. In addition, the process is designed to capture a high percentage of the energy released by the exothermic reactions occurring in the oxidation of sulfur to sulfur trioxide. This energy is used to produce steam, which is then utilized for other plant unit operations or converted into electrical energy. It is the raw water treatment necessary to condition water for this steam production that generates essentially all the wastewater effluent from this process. 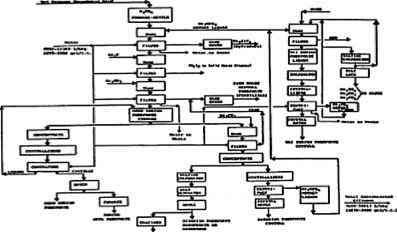 What is phosphate fertilizers and its block flow diagram? 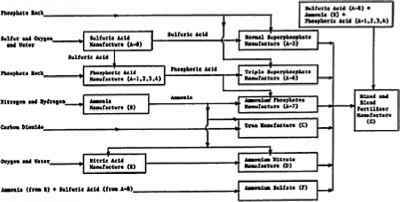 How phosphoric acid manufacture in industry using block and line diagram?